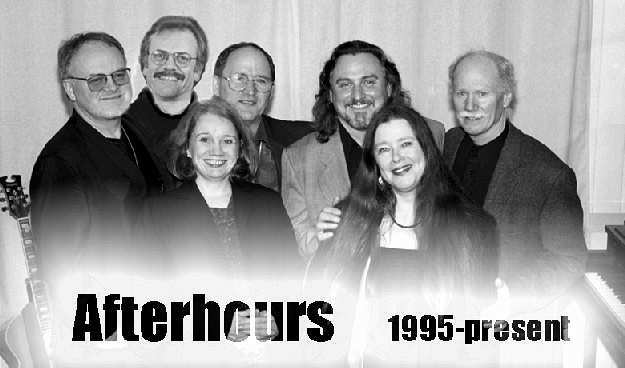 Afterhours preforms music from the '30's, '40's, '50's, '60'... and on up into the present as a four piece vocal group in mall's, parties, promotional and fund raising gigs throughout the Sunshine Coast. When they play dances and bigger special events on the coast or in the Greater Vancouver area they pull together the whole group. Some of the other Pacific Northwest music groups represented in this band include: The Chancellers, Messenger, Shawanagan, Berrycup Blooze Band, and many other NW bands.